Read eBooks on your Windows Phone 8, including thousands of free Kindle books. The Kindle reading app puts over a million* eBooks at your fingertips—and you don’t need to own a Kindle to use it. Choose from over a million Kindle books from the Kindle Store, including New York Times® best sellers and new releases. Amazon Whispersync technology automatically syncs your eBooks across apps, so you can start reading a book on your Windows Phone 8, and pick up where you left off on another device with the Kindle app installed. 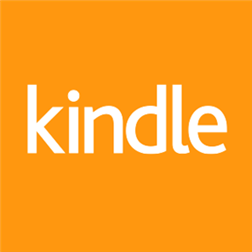 – Buy Once, Read Everywhere: Read anytime you have your Windows Phone 8 with you—just download the Kindle app to start reading eBooks now. – Sync to Furthest Page Read: Amazon Whispersync technology automatically syncs your Kindle books across apps, so you can start reading on your Windows Phone 8, and pick up where you left off on another device with the Kindle app installed. – Personalize Your Reading Experience: Adjust the screen brightness, font size, margin width, and line height. – Read Free Books: Choose from thousands of free Kindle books such as Pride & Prejudice or The Adventures of Sherlock Holmes. – Track Progress: Tap the screen while reading a book to see the progress indicator that shows you how much of the book you’ve read. – Save Your Favorite Books: Tap while you’re reading to pin a book, or press and hold a book in your library to move it to your Archived Items. * If you are a non-U.S. customer, book availability may vary. Some Kindle book formats may not be supported on Windows Phone 8.